For 50 years, America’s emergency has been our specialty. Comforting our patients through some of their most frightening moments, emergency physicians are there 24 hours a day, 365 days a year. 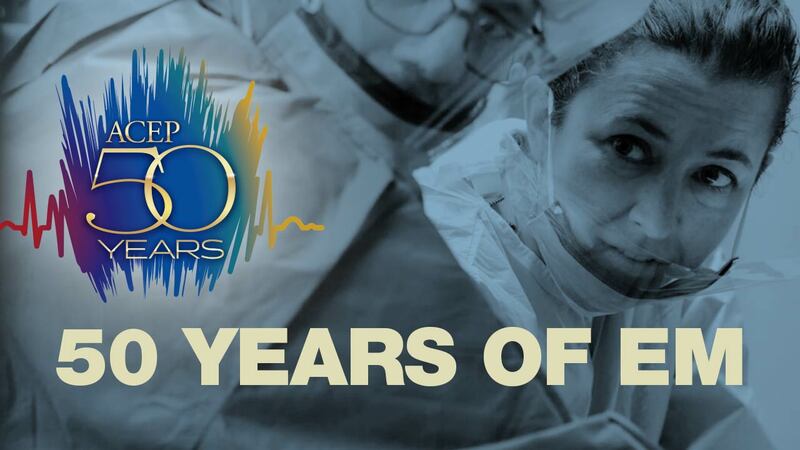 ACEP’s 50th anniversary reflects on the moments that matter most for our specialty, our members, our patients - moments that matter most to you. Throughout 2018, ACEP will honor the titans of emergency medicine who blazed the trails so others could follow. We’ll recognize the mavericks who practice each day with tenacity, excellence and the highest regards for their patients. And we’ll highlight the pioneers who will lead us into the next era of practice.